I had a feeling this wasn’t a good reading year, but when I went over my posts I saw that I was wrong. I’ve read some outstanding books some of which will stay with me for a long time. 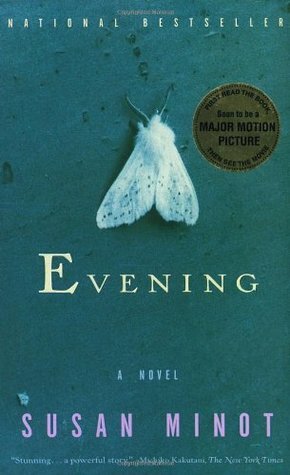 It’s not easy to capture the beauty of Susan Minot’s gorgeous and ambitious novel Evening. If Virginia Woolf or Proust had written page-turners, that’s what it could look like. In beautiful prose which explores how memory and consciousness work Evening captures the story of Ann Grant’s life. It is 1994 and Ann is terminally ill; she’s lying in her bed, drifting in and out of consciousness. Scent transports her back in time. The morphine induces hallucinations, which are rendered in brilliant stream of consciousness paragraphs. These chapters and paragraphs, are very short, fragments only; the main story however simply moves back and forth between 1994 and 1954, the summer in which she met Harris Arden. It’s a beautiful book and strangely uplifting. Possibly because it testifies how intense an interior life can be and that nothing is really lost. Everything we’ve ever experienced, imagined or dreamed is still somewhere. In its best moments Evening reminded me of Virgina Woolf’s The Voyage Out, in which we often see people or houses from outside. 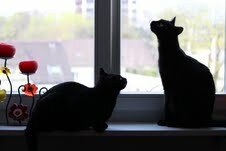 They are motionless or sleeping, but we catch a glimpse of their inner lives, which are rich and deep and passionate. 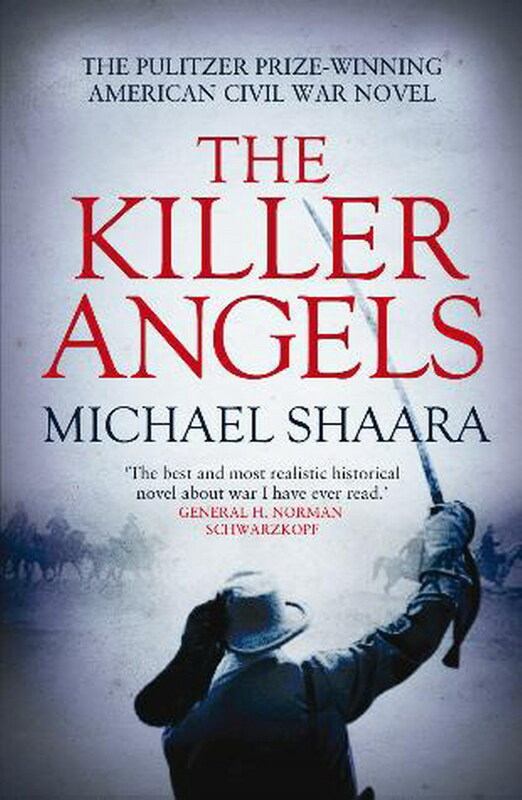 Michael Shaara’s Killer Angels is the only Literature and War Readalong title that made the list. Books are not always the way we expect them to be. Still, I’ve only rarely been this wrong. I was afraid Michael Shaara’s Pulitzer Prize winner would be dry, heavy on tactics and military jargon. It wouldn’t have been too surprising if it had been like that, after all, Shaara tells the story of the three-day battle at Gettysburg. 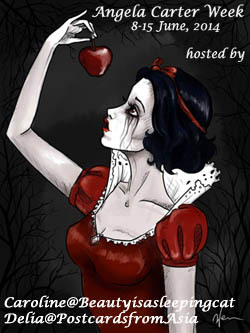 But The Killer Angels is anything but dry or heavy. 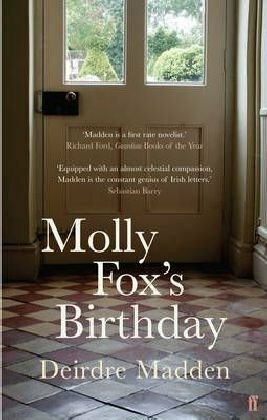 It’s a beautiful, lyrical novel, which focusses much more on the moods and emotions of the main characters than on tactics. I don’t know what other books the year will bring, but I have a feeling this one could make it on the Best of List. I love books which are rich in atmosphere, capture quiet, introspective moods and manage to bring the most different characters to life. I certainly didn’t expect to find all that in a war novel. The Killer Angels is a gorgeous book on an awful subject, reading it felt like seeing all the major participants of the battle during their most intimate moments. I’m grateful to Kevin who said I would be missing out, if I didn’t read it. He was right. 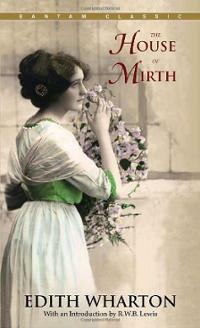 It took me far over two months to decide whether I wanted to review The House of Mirth or not. For some reasons, I found this book profoundly disturbing. While reading The House of Mirth I felt like I was watching a fly getting trapped in a spider’s web. At first, when they notice that they are trapped, they wiggle frantically, hoping to be able to free themselves but, in doing so, entangle themselves even more. Comparing the stunningly beautiful Lily Bart to a fly isn’t doing her any justice, but the way she’s trapped by the society she lives in, and the way in which she tries to free herself, is not much different from the poor fly. I’m still a bit shocked. I knew nothing about The House of Mirth and to find that Lili Bart is just as tragic – maybe even more so – as Effi Briest or Mme Bovary (only without the adultery), came as a huge surprise. Ellen Gilchrist’s In the Land of Dreamy Dreams is the best short story collection I’ve read this year and one I want to read again some day. It’s been a while since I’ve read a book by a new-to-me author and felt like reading everything she’s ever written. I hadn’t heard of Mary Hocking before and have to thank heavenali who hosted a Mary Hocking Week for the discovery. I really liked The Very Dead of Winter are great deal. Not only for its wry humour and psychological insight, but also for some lovely descriptions. It’s not a flawless novel, there are a few instances of shifty point of view, but that didn’t diminish the experience one bit. 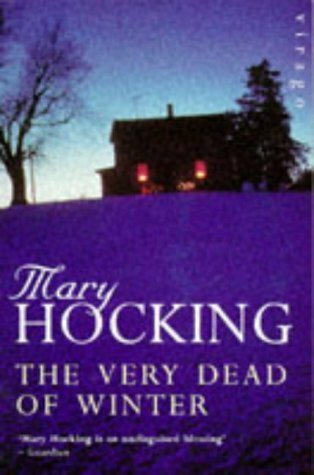 I’ll certainly read more of Mary Hocking, might even re-read The Very Dead of Winter. 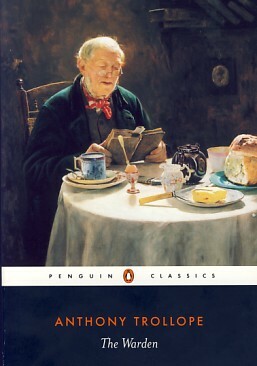 After reading Trollope’s The Warden I wasn’t sure whether it would make it on the list but I must admit- it’s a memorable book. Memory is a funny thing. For years I have been haunted by a sensual impression of a place. I remember being in England and walking along a row of houses. It’s a very peaceful, mild, warm autumn afternoon. The houses are part of a larger compound, overshadowed by a huge cathedral. I remember walking away from the cathedral close and coming to a small river that was flowing through the grassy meadow, on the same level as the soil. There were weeping willows and sheep. Walking around that place was like visiting a time long gone. These haunting images returned periodically. The light outside of my windows sometimes triggered the memory. It was always nice to go back in my mind, the only trouble was – I couldn’t remember where this had been. I’ve been in England many times, stayed there for a couple of months or weeks. I’ve visited many places and many cathedrals, but as much as I thought about it – I had no clue where I’d been on that warm autumn afternoon. Not until reading The Warden. The moment I opened the book and read the description of Barchester I knew – this is where I had been. But how could that be? Barchester doesn’t exist. Although I like to keep the introduction of a book until I’ve finished it, I had to read it to find out more. In the introduction I learned that Trollope based Barchester on Salisbury and Winchester. I immediately went online and looked up photos of Salisbury cathedral, the cathedral close and the meadows around and, yes, indeed, that’s where I’ve been some years ago. I found it pretty uncanny that Trollope was so capable at describing a place. I still don’t know why I forgot that the images were images of Salisbury. I’ve never forgotten a place like that. Maybe because it was so dreamlike? I’m glad I read The Warden. It made me remember my stay at Salisbury and I loved the descriptions. I liked his choice of themes and think they are just as important today as they were then. I also think he’s a wonderful satirist. This too will stay with me. 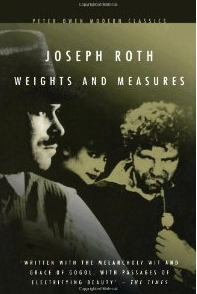 Joseph Roth’s Weights and Measures – Das falsche Gewicht is such a powerful short novel. Elizabeth Taylor’s A Game of Hide and Seek was another winner. I often read the best books of the year in December. Sometimes they don’t make it on the Top 10 list because I read them so late in the year. Luckily I’ve read Elizabeth Taylor’s fifth novel A Game of Hide and Seek just in time. This is my third Elizabeth Taylor novel and every time I read her I’m amazed to find out again how good she is. As much as I liked Blaming and Mrs Palfrey at the Claremont, A Game of Hide and Seek is even better. It’s larger in scope, richer in themes, with many more protagonists, and stretches over decades. The mood and atmosphere reminded me a lot of Rosamond Lehmann’s Dusty Answer and David Lean’s movie Brief Encounter, both of which are favourites of mine. I’m aware I wasn’t able to capture this book because it contains so many themes (childhood, first love, passion, married life, women’s rights, work, education, memory, growing older . . .) and is so rich— there’s a wonderful, bitter-sweet love story, accurate descriptions of a period, lifelike, flawed characters, and humourous observations. It’s one of the best books I’ve read this year. I even added it to my list of all-time favourite books. 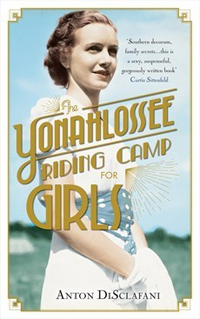 I read Anton DiSclafani’s The Yonahlossee Riding Camp for Girls in January but it’s still present as if I’d read it a couple of weeks ago. It’s such a lovely book. I’m not sure what exactly made me love this book so much. Was it the elegant writing, the dreamy mood, the sense of seeing a long-gone world, the tragedy of the story or the characters? I loved the way DiScalafani captured the setting and the period. I liked how she showed the end of an era without turning this into a mournful book, but into one that shows that people can free themselves from their stifling upbringing if they are true to themselves. Thea is a character who is true to herself at all times. This comes at a cost but one she’s aware of and willing to pay. 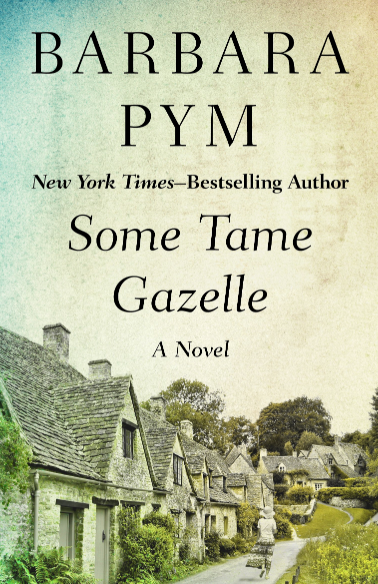 If you like a rich, beautifully told story, with mystery and a lush setting, if you are fascinated by the Great Depression and big Southern Families and enjoy a coming-of-age story, which is at times quite steamy, then I’m pretty sure you’ll love The Yonahlossee Riding Camp For Girls. Jan Costin Wagner was a real discovery this year. I’ve read his first three. They are all good but I only reviewed this one. What made me love Wagner’s books even more was his writing style. This is crime at the literary end of the spectrum. The sentences are short, spare, and very precise. 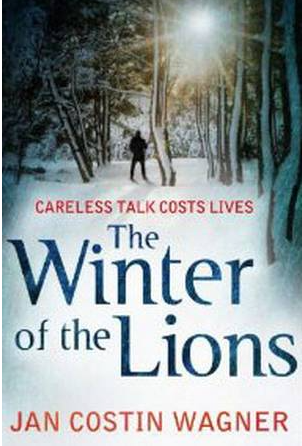 As if all of this wasn’t enough there’s a haunting atmosphere in every book and the Finnish setting is another bonus, especially since each book takes place during another season. I loved to read about the long nights in winter and the endless days in summer. Should you wonder why a German author chose to set his books in Finland —Wagner is married to a Finnish woman and spends half of the year in Finland. This is one of the best crime series I know. Haunting, atmospherical, with philosophical depth and impeccable writing. 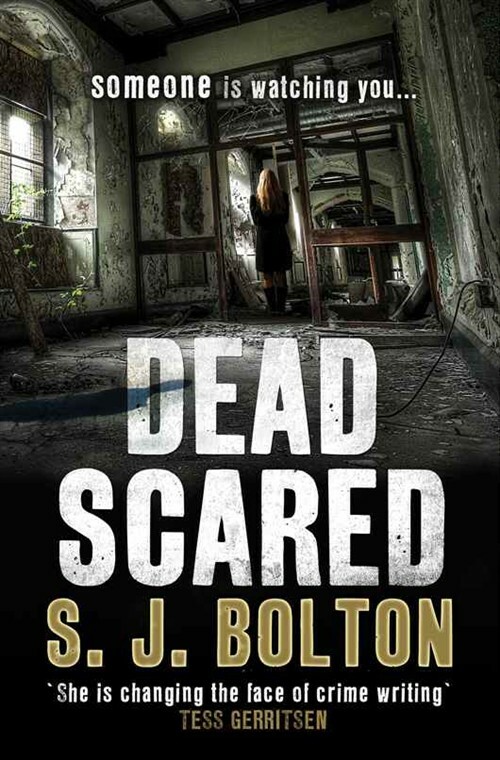 S.J.Bolton is certainly one of my favourite crime writers and I’ll read all of her books eventually. Still, this was the best so far. I loved it. I loved John Scalzi’s Fuzzy Nation. Funny, entertaining and thought-provoking with one of the best beginnings ever. I’ve read so many children’s books this year that I didn’t even get the time to review them. Two stood out Diana Wynne Jones’s Fire and Hemlock and David Almond’s Skellig. I often think that the best books for children are not just books for a particular age group but timeless tales for any age. Just think of Antoine de St Exupéry’s The Little Prince. It’s a children’s book but it is so much more. And so is Skellig, David Almond’s wondrous, lyrical novel of love and healing. Skellig is such a magical book. Lyrical, spiritual and philosophical, but very realistic too. It’s an elusive book, that is hard to describe without breaking its spell. It’s a story of love and loss, grief and joy, inspired by tales of angels, the evolution of birds and William Blake. Every reader interprets Skellig in another way. After I finished it I’m still not sure what Skellig is but it doesn’t matter. It’s enough to feel how inspired David Almond was when he wrote this novel. 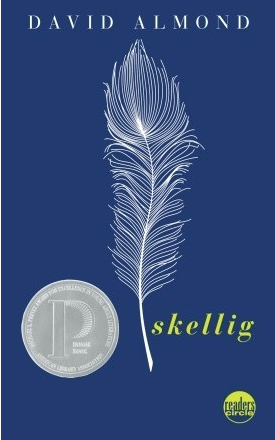 Skellig is pure magic; an image, a deeply haunting feeling, that carries a truth that predates words. I think it took courage to write a book like this and to leave so many questions unanswered. David Almond seems to have been sure that even if we didn’t “get it” intellectually, we would still be able to understand it on an emotional level. I really love that. It’s Easier Than You Think by Sylvia Boorstein. I didn’t review it but it made a huge impression on me. Especially the parts about impermanence. I told all of my friends about it, urging them to read it. Well what a wonderful list, a few there I don’t know. Do glad to see Elizabeth Taylor and Mary Hocking on your list, and The Warden is a dear favourite of mine, I was blown away by the House of Mirth and you describe Lily Bart’ s situation perfectly. My list will be out right at the end of the year but I need to get working on it. How nice to hear we have some shared favourites. I’m looking forward to your list. It does take quite some time to compile them, doesn’t it? Thanks, MarinaSofia. I’m not much of a re-reader but almost all of the books I really loved this year would be worth to re-read. Next year is, hopefully the year of the piles for me. Or I have to move! know any other author called Deirdre. I want to read that Joseph Roth book (and all books by him :)) I want to read ‘Skellig’ sometime. I wish you had been able to review ‘Fire and Hemlock’. I really wanted to hear your thoughts on it. 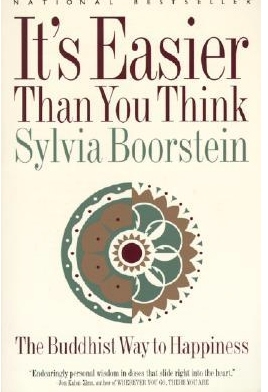 It’s Easier Than You Think by Sylvia Boorstein – I want to read that sometime. Thanks for sharing your favourites list. Deirdre is lovely name, I agree. I made a few discoveries this year. It’s always nice. I’m already in the mood for another Roth as well. I will look forward to your review, Caroline! So excited! Which is the other Diana Wynne Jones book that you are planning to read? It’s called The Time of the Ghost. But I’ve also got Howl’s Moving Castel. only I’m more in the mood to read The Time of the Ghost. It sounds like such a great premise. Nice to know that, Caroline. Happy reading! Can’t wait to hear your thoughts on it. Strangely enough Caroline, I was also thinking this hadn’t been a great year for books, but I don’t think that’s really true when I go back and look over the titles. There’s several on the list I want to read: Madden, Hocking, Taylor, Roth, Wagner. As you know I read Wagner’s Silence and thought it was excellent. It’s strange but in my case it was maybe because I picked a few duds – some I didn’t even bother to review. I actually owe you the discovery of Madden. I couldn’t even say which Wagner book I liked best. Ice Moon was very good as well. Great list and what a diversity! This year’s Literature and War Readalong hasn’t been so good for your, has it? I hope you’ll enjoy yourself more in 2015. I have the Trollope, the Wharton and the Roth on my TBR too. I wish you a great 2015 reading year. Thanks, Emma and I wish you a great 2015 reading year as well. No, it wasn’t a particularly good Literature and War Year but even before, there were hardly two books who made the list, that’s why I decided to cut it down to four. I hope you’ll like The Warden and the other’s you’ve got as well. I’m curious to see your list. I’m thinking about my list. I’m trying to catch up with the billets I haven’t written. Then I need to catch up with other bloggers’ blog posts. The last weeks have been hectic at work. I never review all the books I’m reading. Not because they are not good but I’m not always in the mood or I wait too long. I know you don’t. I read less books than you do, so it’s easier for me ti write about everything I read. The thing is that I read a lot of non-fiction and really struggle to review them. I find it awfully hard. I bet it is. I don’t have that problem, I only read fiction. It’s hard to choose what to include and what not. A bit like with short story collections. I’ve read five or six but only reviewed one. A great selection, Caroline. I read The House of Mirth this year too, and it’ll make my end-of-year list. I love how you’ve described Lily’s situation – I think she might be one of my favourite characters from literature. I definitely want to read a novel by Elizabeth Taylor next year, and Joseph Roth, too. Deidre Madden’s another writer I’d like to try at some stage. I’m still thinking about my own 2014 list, but I’ll probably post it in January. Thanks, Jacqui. Glad to here we’ve got one title on both of our lists. She’s certainly a heroine I won’t forget. I hope you’ll like Elizabeth taylor as much as I do. And Deidre Madden. Such a great writer. January is a good time for posting the lists. Most list will be up right after Christmas. I’m very interested to see your choices. I know Jeff Shaara is carrying on his father MIchael’s tradition of Civil War novels. I’m not sure if he has matched the quality of ‘The Killer Angels’ yet. So far I wasn’t tempted by any of his books yet. I’m reading Richard Flanagan after I saw it made your Top 12 List. It’s good but not easy. Thanks for the reminder of all your great reviews. In particular your on the House of Mirth Blog was superb. If you have time in 215, in my opinion the sequel to The Warden, Barchester Towers, was even better. I’ve already got Barchester Towers. I’m too curious to find out whether I’ll like it more. I do love best-of lists; they remind me of reviews I made a note of during the year but then failed to follow through on. Mary Hocking has now gone on my permanent TBR, as has Susan Minot. I’m so glad this turned out to be a better reading year than you recalled. It’s nice when that happens! I’m glad to hear you’ll pick up Mary Hocking and Susan Minot. I’m looking forward to reading your thoughts. The year was very mixed. I’ve read some really bad books, which I didn’t even review and some really good ones I didn’t review either but still there are some that I really loved. Thanks so much for the wishes, Danielle. It wasn’t an easy year. But at least readingwise it was good after all. Maybe when we read a mix of good and very bad ones we think the year as a whole wasn’t good. I hope you have a restful break. Brilliant list with some books I hadn’t on my radar yet – will definitely try to read at least some of them next year. Edith Wharton is an author I like very much and I intend to review one of her novels soon. Enjoy the time “between the years” and I hope you will have a healthy and happy 2015, Caroline! Thanks, Thomas. Edith Wharton is amazing. Not that I’ve read everything yet, only three or four of her books but they all had a lot to offer. I’m looking foward to find out which one you’ve read. I got “Ostende” as a Christmas present btw. I can’t wait to read it. I too wish you all the best for 2015 and Happy Holidays. So many books on your list are books I want to read, too–the Wharton, the Madden, need to finish reading (though now will have to start from the beginning again) the DiSclafani, and I should really try Ellen Gilchrist–I have heard she is very good in any case, and I am always on the look out for good short stories! And I need to catch up with SJ Bolton’s books, too…. Isn’t it gratifying to think that all that time spent was really worthy and worthwhile reading! I was thinking that I wouldn’t be able to come up with really stellar books (lots of entertaining or good books, but not to many exceptionally well done…), but it turned out differently for me, too. Hopefully 2015 will be filled with lots of good books for both of us. Happy New Year Caroline–hope it’s a great one for you! Happy New Year, Danielle. I do wish you the same. I hope you enjoy the books I liked as well. I’m sure you’ll like Madden and Wharton. I suppose darker aspects of life overshadowed a lot last year. Looks like you had a wonderful year of books. Happy reading in 2015! Thanks, Grace. I wish you the same. Happy 2015. I’m quite late to this post, Caroline, but I wanted to write to say that your description of The House of Mirth is spot-on. Reading this novel is indeed like watching a fly get caught in a spider’s web. You want to reach in and help the fly, but of course you can’t. Well said! Thanks, Jackie. And no worries. I’m so behind visiting and commenting these days. I identified with Lily Bart so much and that’s exactly how it made me feel. We have such different reading tastes. 🙂 I enjoyed reading your review of The Warden, it’s amazing how you were able to remember that cathedral by reading Trollope’s description. The House of Mirth is a great book, I’m glad you enjoyed it as well. Remembering the cathedral throught Trollope’sdescriptions was quite something. Fantastic collection, Caroline. I’m so glad you told me about Skellig–I loved it. Thanks, Carole. I’m glad you liked it. It’s a book that stayed with me. Happy new year Caroline, it seems that you had great reading year last year. Last year was not a nice reading year for me…simply because I didn’t read a lot. I envy you. My new year resolution is to read more. I remember reading your review on Fuzzy nation and I remember how I want to read it…too bad I haven’t found it yet. I hope you’ll manage to get more time for reading this year. I also hope you can find FUzzy Nation. I’m sure you’d like it. I had phases like that. When you can only read in the evening, after work, it’s not easy.